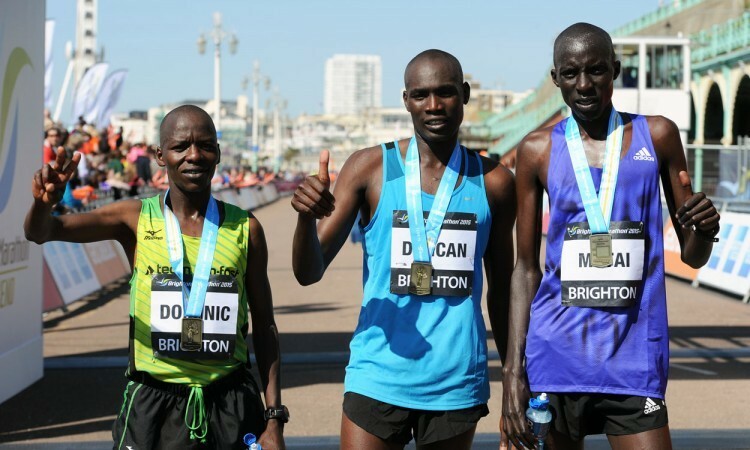 There were effectively three separate races in Brighton on Sunday – the BM10k, an elite marathon and a mass participation marathon. The elite marathon started up the London Road out towards Patcham and had a dead-straight slightly downhill first mile, while the mass event started in Preston Park with a hilly lap. The best race was the 10km where a clutch of men bettered the 30 minute standard led home by Jonny Taylor in an equal PB of 29:13. Steph Twell ran by herself to take the women’s race in 32:49, one place but a massive 48 seconds clear of Aly Dixon. So Morpeth, who won the men’s 12-stage National Road Relays the day before, did not need Taylor and Aldershot, the women’s relay champions, did not need Twell. Both won here so it all worked out well. The elite marathon saw only around a dozen set off on their downhill run to the town, four of whom were pacemakers. Winner Duncan Maiyo, competing in his first ever race outside of Kenya, was unhappy with the time set by the pacemakers and urged them ever faster to go through the half-distance in 63:49, dropping one of the pacers en-route. Predictably they all suffered as the breeze and temperature picked up. The winner led the five Kenyans home in 2:10:15. Tom Payn paced the women and Pennina Wanjiru was also fast at half-way (73:35), getting away from Lishan Dula by that point but suffering thereafter, slowing to 2:34:25. The final race was the mass start marathon and this saw Twell’s boyfriend, Joe Morwood, run the whole distance by himself before taking a dip in the sea to cool off at the finish. His final miles were painful but his 2:32:11, in the end just ahead of former Brighton runner Chris Thompson, was for him a pleasing first outing over the distance. 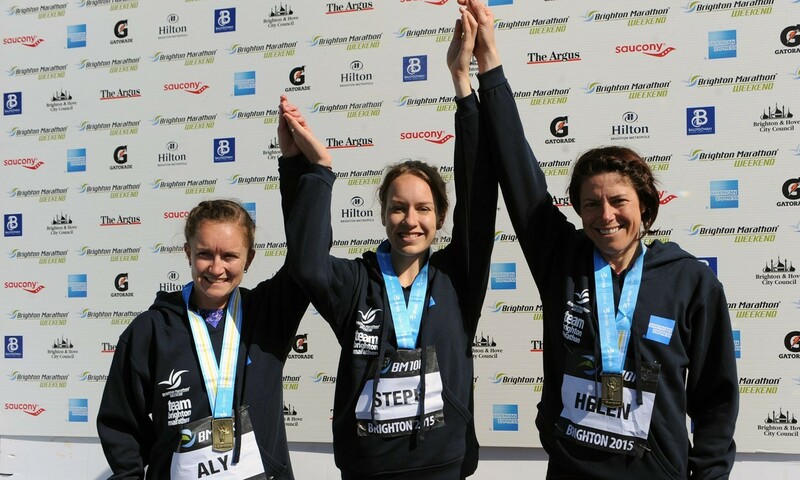 Worthing veteran Sarah Kingston was first in the women’s mass event in a big PB of 2:56:01.